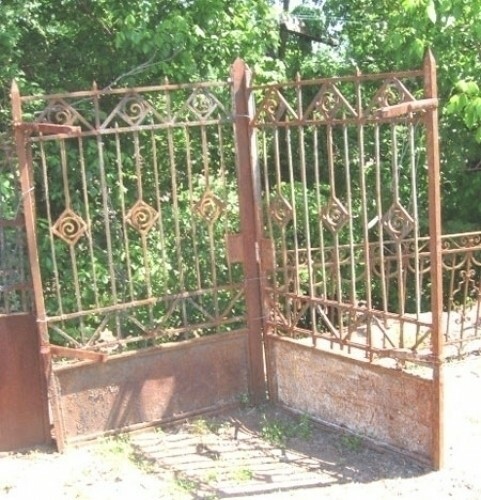 Bring Old World charm into your garden, patio, courtyard, wine cellar... beautiful gates available for any room in your home, estate, restaurant, business... lots of options! Looking for matching fencing? Send us an email with your size requirements and we'll take a look around ~ many panels available. If you are visiting beautiful Southwest Virginia or happen to live nearby, stop in and see us! We just moved to a bigger and better location at the Memorial Bridge Marketplace, 902 13th Street, SW, Roanoke, VA 24016. Click on the logo to see more architectural finds. We get new items in every day ~ if you don't see what you're looking for, please give us a call!